Dana Holding Corporation (NYSE: DAN) announced the introduction of service-free u-joints to its heavy-duty Spicer Life Series® (SPL®) driveshafts. This technology delivers a permanently lubricated driveline that reduces maintenance costs over the life of the product. The new SPL-250 and SPL-170 service-free u-joints have been designed for main and tandem drive inter-axle driveshaft applications for a variety of Class 8 heavy-duty truck applications and borrow from Dana’s industry-proven service-free technology that has been available in Europe for over 13 years. Dana recently upgraded the performance and durability of its entire line-up of SPL heavy-duty universal joints. Enhancements feature a new bearing package that includes larger needle bearings for increased capacity, a special Viton® synthetic seal for improved grease retention, and a thermoplastic seal guard to exclude contaminants. In addition, a new premium synthetic lubricant provides further improvement in bearing life. 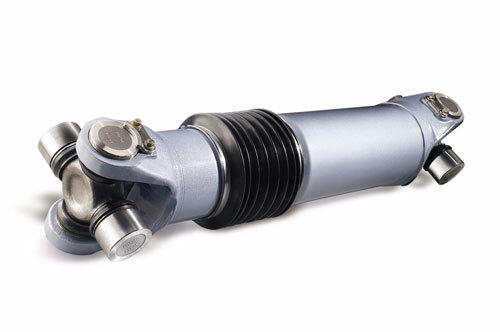 Dana’s SPL line of universal joints offers customers up to 40-percent improvement in dynamic bearing capacity – in the same compact package – to create a driveline with 70 percent more power density compared with it nearest competitor. These industry-leading features will come standard on SPL service free u-joints and will be available to all OEM’s in March of 2011. Warranty coverage is available for up to four years or 400,000 miles of service for linehaul applications.